The collection of real estate in MacEwan Glen, often referred to as just “MacEwan,” offers a traditional style of suburban living. These attractive family homes with good sized yards are tucked away from the hustle and bustle of Calgary city life, just north of Nose Hill Park. They provide a quiet, safe living environment. Learn more about the MacEwan Glen real estate community following the property listings below! MacEwan homes were built for families, complete with functional designs and spacious floor plans. Most homes have at least three bedrooms and just as many bathrooms, allowing every member of the house a space to call their own. Best of all, you’ll be proud to welcome visitors and entertain friends in these beautiful living spaces. MacEwan real estate is close to the community’s ice arena, allowing residents to skate and play hockey. A park at the centre of the community hosts sports fields, a ball diamond, tennis courts, and a children’s playground. The local community association, which partners closely with the Sandstone Valley sister community, also plans family events throughout the year. Younger residents along the eastern portion of MacEwan will find it easy to walk to the public Simons Valley Elementary School and Catholic Monsignor Neville Anderson School, located along 12 St NW. Older students are likely to attend Sir John A. MacDonald Middle and John G. Diefenbaker High Schools, roughly ten minutes away. 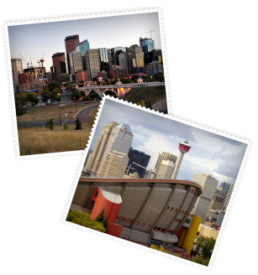 Explore MacEwan real estate & homes for sale with the Calgary Real Estate Advantage team and we’ll help you find the best property for your family. Get started today by registering with our site or calling 403-968-1496!